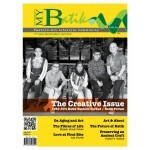 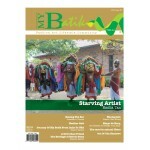 Issue : August, September, October 2008 Categories : Fashion, Art, Lifestyle, Community A..
Issue Name : May, June, July 2010 Categories : Fashion, Art, Lifestyle, Community Availab.. 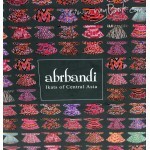 Title : Abrbandi - Ikats of Central Asia Author : Islamic Arts Muse..
Issue Name : November, December 2008, January2009 Categories : Fashion, Art, Lifest..
Issue Name : February-March-April 2013 Categories : Fashion, Art, Lifes.. 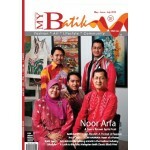 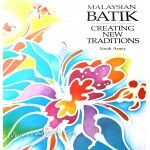 Title : Malaysian Batik -Creating New Traditions Author : Sarah Arney Size :26..
Issue Name : Febrary, March, April 2009 Categories : Fashion, Art, Lifestyle, Commu..
Issue Name : February-March-April 2013 Categories : Fashion, Art, Lifestyle, ..
Issue Name : November, December 2012 / January 2013 Categories : Fashion, Art, Lifestyle..
Issue Name : May, June, July 2009 Categories : Fashion, Art, Lifestyle, Community Availab..
Issue Name : February.March.April 2012 Categories : Fashion, Art, Lifestyle, Commun..